James R. Neal holds a Ph.D. in Nineteenth-Century U.S. history and an M.A. in Me­dieval history from the University of Nevada, Reno (UNR). From 2007 through 2013, Dr. Neal taught Humani­ties courses at Morrison University in Reno, NV as the senior humanities professor. His courses included History of Early Civiliza­tions, Western Traditions, Logic, World Geography, American Government, and the History of Economic Thought. 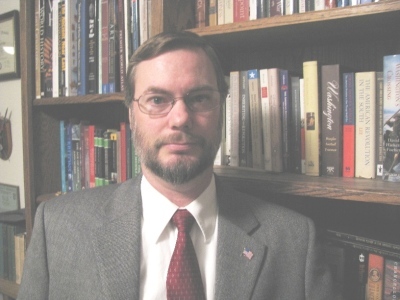 His primary historical research inter­ests include the American Civil War, the German Empire, Medieval Europe, and Sumer; he is currently engaged in ongoing research in these areas as an independent scholar and recently published “‘We Were Surrendered’: Civil War Prisoners and the Trauma of Capture” (2016) in the University of Virginia's Academic Journal, Essays in History. His master’s thesis, “Defining Power in the Mercian Supremacy: An Examination of the Dynamics of Power in the Kingdom of the Borderers” (2008), and doctoral dissertation, "Surrendered: The Prisoner-of-War Condition in the American Civil War" (2015) were both completed at UNR. Dr. Neal served in the U.S. Army (Infantry) for eleven years including a tour in the 3rd U.S. Infantry Regiment (The Old Guard), a tour in West Germany guarding Pershing II Nuclear Missiles, and three years in the National Guard. He is currently the Chief of the Advanced Analytics staff with the Department of Veterans Affairs in Washington, D.C. He previously served as a Program Analyst with the Department of Veterans Affairs and, before that, served as a Management Analyst, Training Manager, and Veterans Service Representative at the Reno Regional Office. Dr. Neal and his wife are founding members of the Fredericksburg-Este Association and he has given numerous lectures to that organization on topics related to Italian literature, culture, and history. In addition, he has presented to the American Revolution Round Table of Fredericksburg on the topic of Revolutionary War prisoners of war and the Battle of Jumonville Glen; and the Civil War Round Table of Fredericksburg on prisoners of war during the American Civil War. Dr. Neal has also presented a paper to the Medieval Association of the Midwest in October 2017 on the dating and purpose of Offa's Dyke in Early Medieval Mercia and presented a paper to the Medieval Academy of America in 2019 titled, "The Early Medieval Sword: Tracing Advancements in Metallurgy and Mining." Dr. Neal currently lives in Stafford, VA with his wife, Helen, and their two dogs: Henry (a Golden Retriever/Pekingese mix) and Otto (a Brittany Spaniel). © 2019 by James R. Neal, Ph.D.